Dream Pod 9: Dream Pod 9 Christmas 2018 Sale! 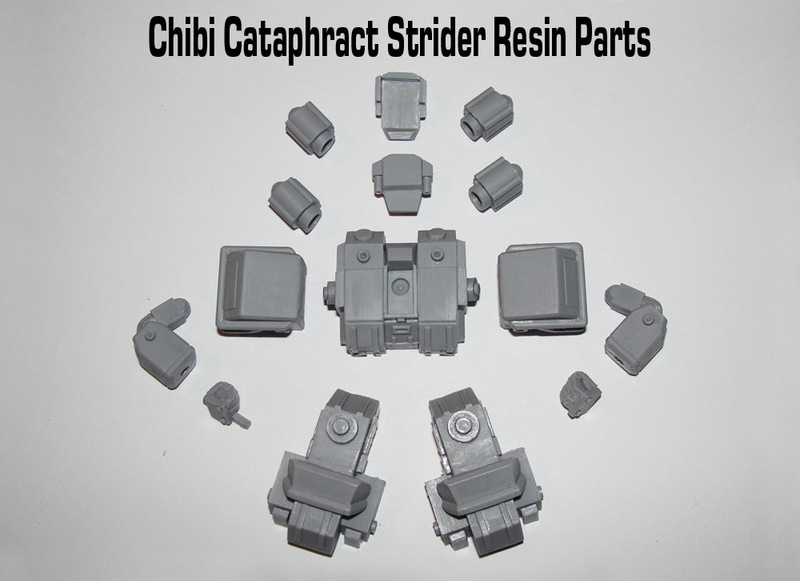 Plus we have our 2018 Xmas Gift, this year the Chibi Cataphract Strider from Peace River with Dr. 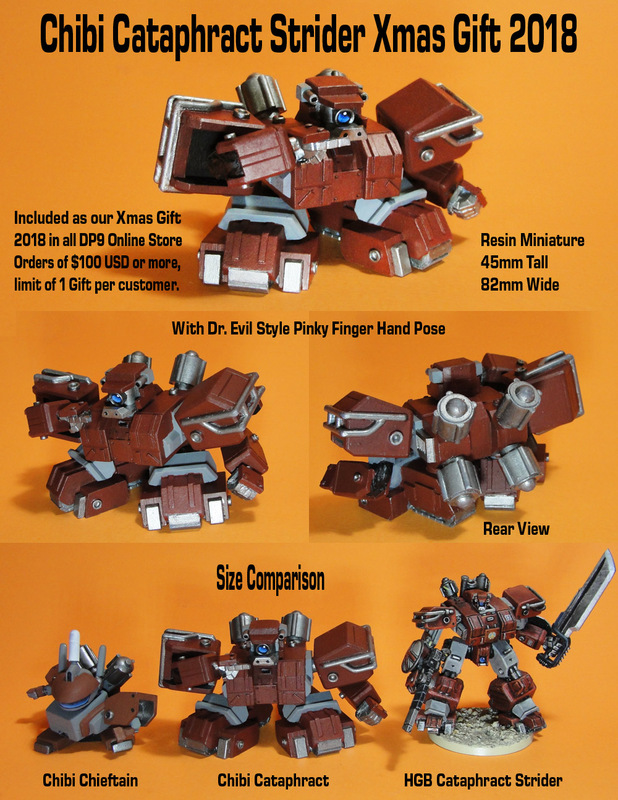 Evil Style Pinky Finger Hand Pose (see images below, $25 value) that we'll be adding in with all orders over $100 USD Sub-Total, limit 1 free gift per customer. 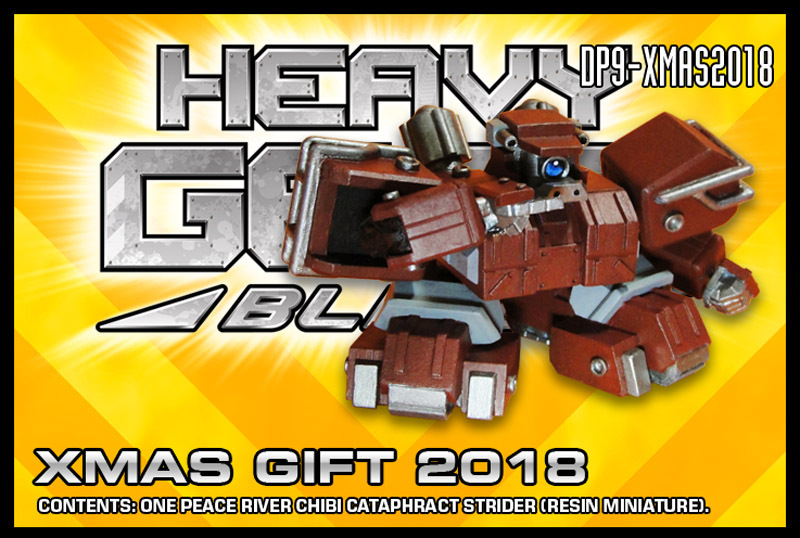 We'll automatically get the 2018 Xmas Gift added to orders over $100 USD Sub-Total when they ship, don't add it to your cart unless you want a second one as the Online Store charges for all items in the cart. All the Christmas Sale items are found in the Holiday Season pull-down menu of the DP9 Online Store at the link below. Home › Blogs › Robert Dubois's blog › Dream Pod 9 Christmas 2018 Sale!